Moms in Prayer International is a global organization with a simple but powerful mission that defines each of its school chapters: pray for guidance and protection of children, their school and its teachers, all while supporting, empowering and encouraging other moms. Learn more about our local chapter and how they embody that mission week after week. Westminster Christian Academy is pleased to announce the appointment of Dr. Donald Thornton, Jr., Ed.D. as the Lafayette campus new Upper School Principal. Dr. Thornton will begin his term June 3, 2019 and is excited to bring his years of experience in administration and instruction to the 2019-2020 launch of WCA’s brand new upper school in Lafayette. It's time to show your school spirit! 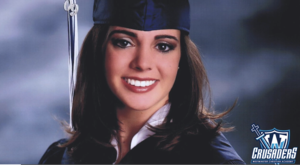 Girls entering grades 7-12 on the Lafayette Campus are eligible to try out. Download the packet with all details here! 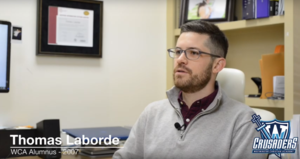 Since graduating in 2007 from his many years of education at Westminster, Thomas Laborde of LaBorde Therapy Center has grown both professionally and spiritually. Read on to learn more about Thomas’ faith walk. The 40th Anniversary Gala is a fundraising celebration of all that God has done through Westminster Christian Academy over the last 40 years. Click the Green Button below to purchase tickets, or visit Support WCA on the Homepage. Candice is a 2009 graduate of WCA and owner of Balanced Gravity, a specialty massage service for athletes recovering from injuries. If you’re looking for a new school for your child to attend this fall, you probably have a lot of questions. 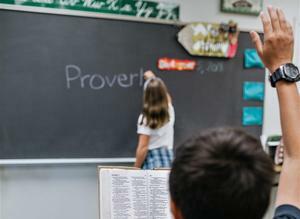 The list goes beyond lunch options, athletics and course curriculum: you’ll want to know about accreditation, discipline and transparency, as well as core values and beliefs—especially if you’re looking for a faith-based education for your student. Save the Date for our 40th Anniversary Gala benefiting Westminster Christian Academy, Saturday evening March 16, 2019! 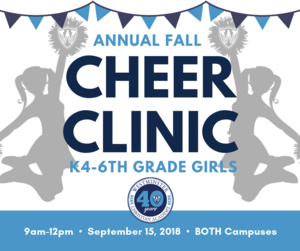 Join us for the Annual Fall Cheer Clinic on September 15, 2018! This clinic is open to all girls in grades K4-6th. There will be a clinic on both campuses and the girls will perform at halftime of the Varsity game on September 21! 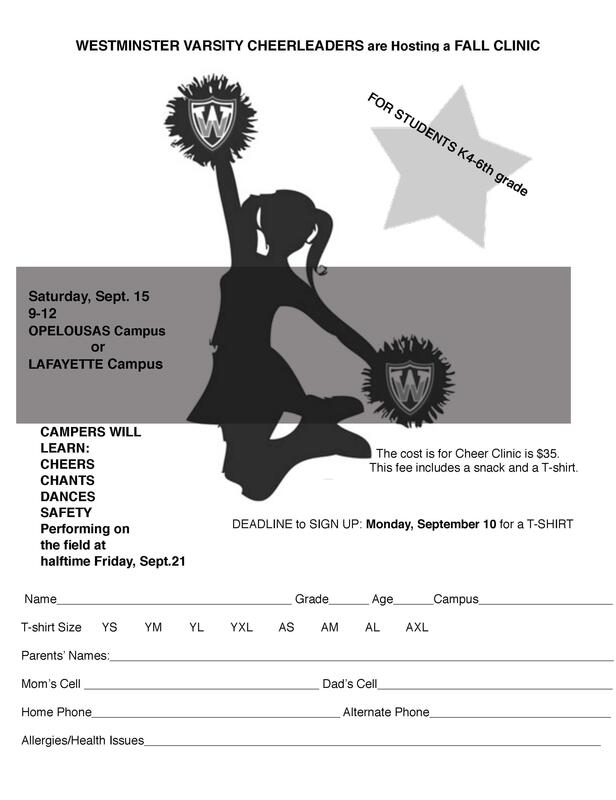 Cheer Clinic Registration form attached. 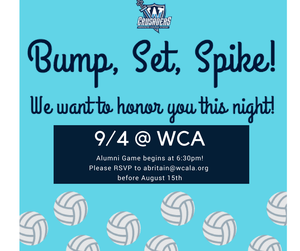 Calling all Alumni Volleyball players!! We are so excited to see you again and can't wait to reminisce on fond memories from the "glory days." Don't forget to RSVP and bring a crowd! !